Have you ever heard of Powell, Missouri? I wouldn’t be surprised if you haven’t. Today, it’s not much more than a spot in the road, but at one time it was a thriving community. Powell is located in the southwest corner of Missouri, in the beautiful Ozarks. 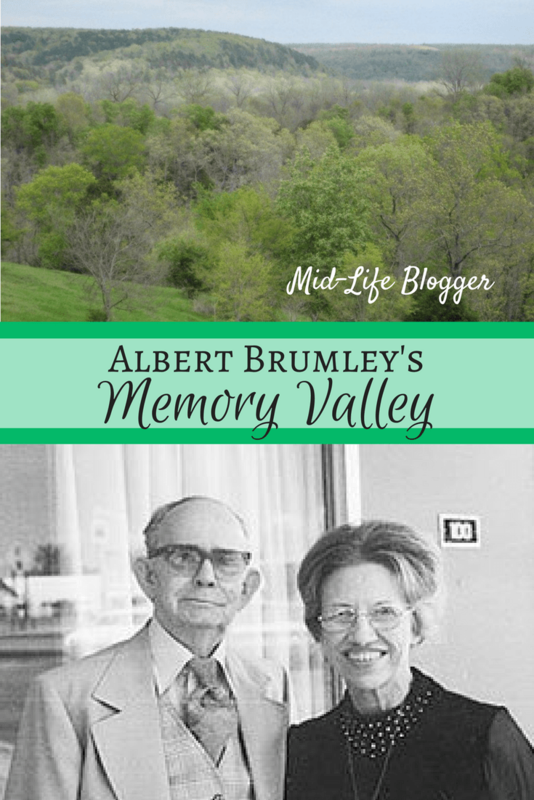 It was given the nickname “Memory Valley,” by it’s most famous resident, Albert E. Brumley. If you aren’t familiar with his name, then you might be familiar with some of the songs that Albert Brumley wrote, such as “Jesus Hold My Hand,” “Turn Your Radio On,” and the most famous of all, “I’ll Fly Away.” It was featured in the movie, O Brother, Where Art Thou? and earned a platinum record as a result. “I’ll Fly Away” has been recorded thousands of times by musicians from a range of genres, such as Allison Krauss and Gillian Welch, Jars of Clay, Alan Jackson, Andy Griffith, Aretha Franklin, Johnny Cash, Kanye West, Michael W. Smith, and Randy Travis. It’s one of the most recorded songs of all time. Elvis Presley sang Brumley’s song, “If We Ever Meet Again,” at his mother’s funeral as it was her favorite song. Albert wasn’t born in here in Powell. He visited in the late 1920s to hold a singing school. It was then that he met and fell in love with Goldie Schell. They were married on the bank of Mike’s Creek and settled down nearby to raise their family. “Memory Valley” became Albert’s nickname for the area. When inspiration struck, Albert would grab whatever was handy, whether it be a napkin, a brown paper sack, or the back of some wallpaper. If he were driving, he would pull over to jot down a few phrases. At times, he even awoke in the middle of the night with ideas. Albert’s son, Bob Brumley, laughingly says that they’re still finding scraps with his father’s scrawled notes. Even he has lost count of exactly how many songs his father wrote, but somewhere over 800. Albert lived the remainder of his life in Powell and is buried in nearby Fox Cemetery. In his honor, the highway that runs through Powell was named the Albert Brumley Memorial Highway. Brumley Music Company still has an office in Powell and is run by Albert’s son, Bob Brumley. Albert’s songs live on, and to honor his legacy the Brumley Gospel Sing is held annually in August. It’s easy for me to see how Albert was so richly inspired here in Powell, Missouri. I feel close to God here within its natural beauty, and I feel that he must have also, as evidenced by his prolific writing of Southern Gospel music right here in Memory Valley. “I’ll Fly Away” was used extensively in the 2016 movie, Greater. You can read about it in “I’ll Fly Away” in Greater Role. Albert Brumley’s songbooks are available at the Brumley Music Store. When we moved here in 1982..we attended several of the “hill and hollow festivals”… I remember seeing Kitty Wells and also saw Little Jimmy Dickens….good memories…used to sit on the porch in the valley and listen, when we couldn’t be there…. I envy that. I would have liked to have gone to them. Thanks for sharing! That’s beautiful Michelle. It is a beautiful area and I love how you show him respect by having get togethers singing his songs. That’s meaningful to us, too. Having a group of friends singing together in our little white church. What a wonderful post! I was very lucky in that my Daddy JE Cowan was born and raised in Powell, and he grew up with the Brumley’s. I remember the Hill and Hollow festivals as a small child, and have my picture with Little Jimmy Dickens in Powell. I remember sitting with my Grandma Ruby Cowan at Goldie’s funeral. That was a sad day. My Daddy passed away this past September. Thank you for the trip down memory lane this morning! Also I totally agree that McDonald County is God’s country. It’s so nice of you to share your memories! I know your family name. It’s a wonderful place and I’m thankful for the people who have kept some of the history alive here. Thanks, Kim! He was inspired to write so many songs, I guess he ran out of paper. LOL! He wrote over 800 songs and his son, Bob, said they’re still finding them.